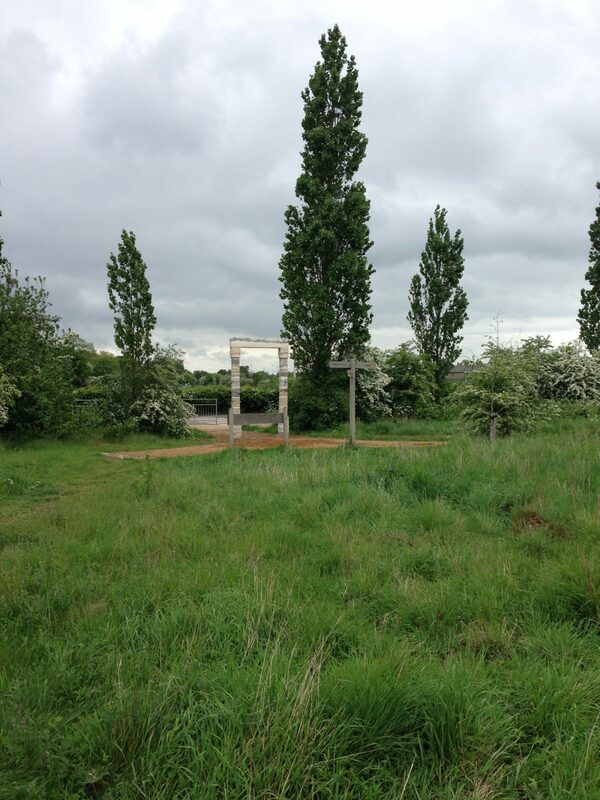 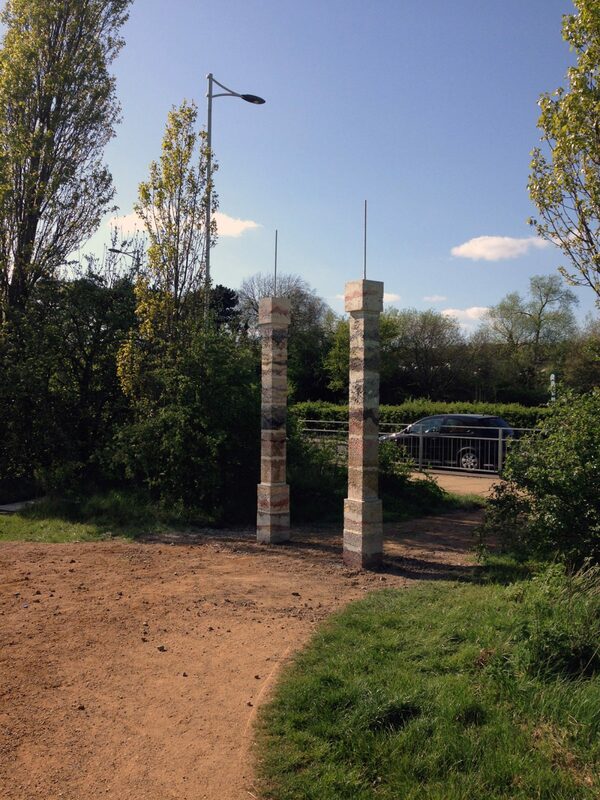 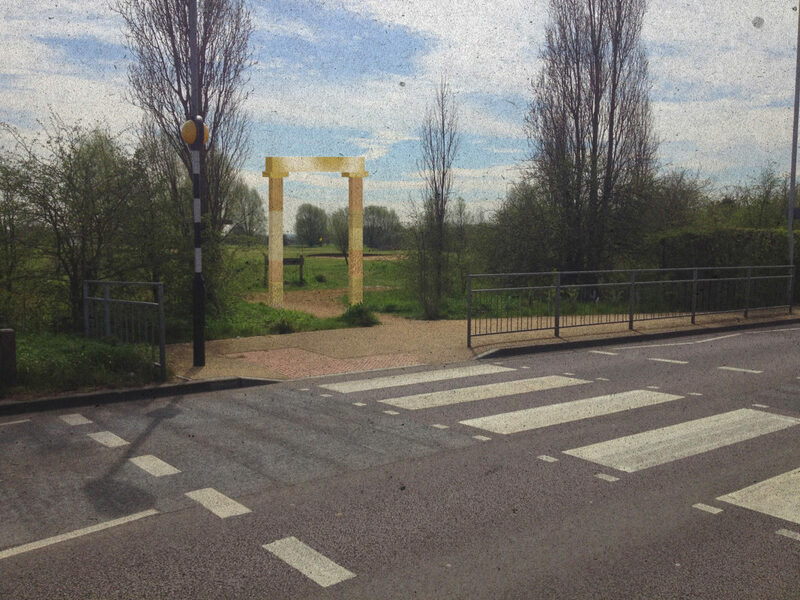 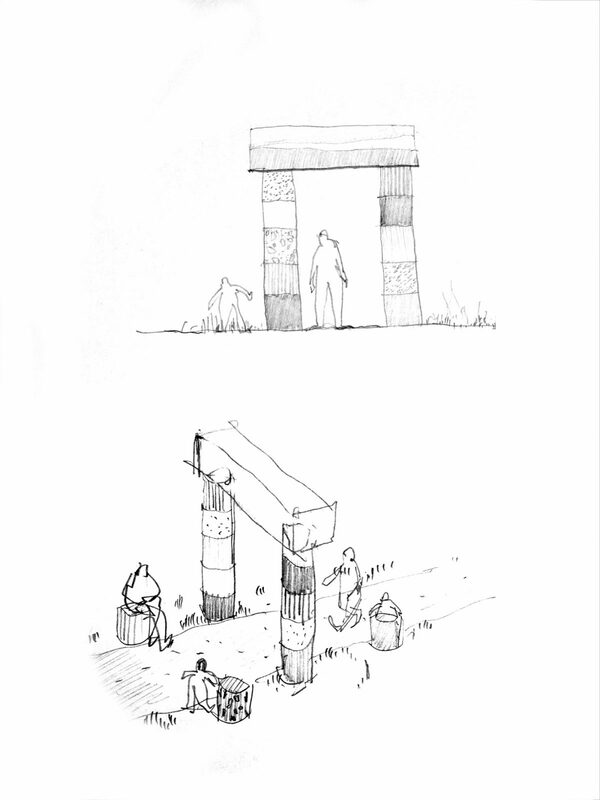 The Barkingside Arch is a permanent monument that was designed, fabricated and installed by Assemble to mark the pedestrian entrance into Fairlop Waters, London Borough of Redbridge’s largest and most visited park. 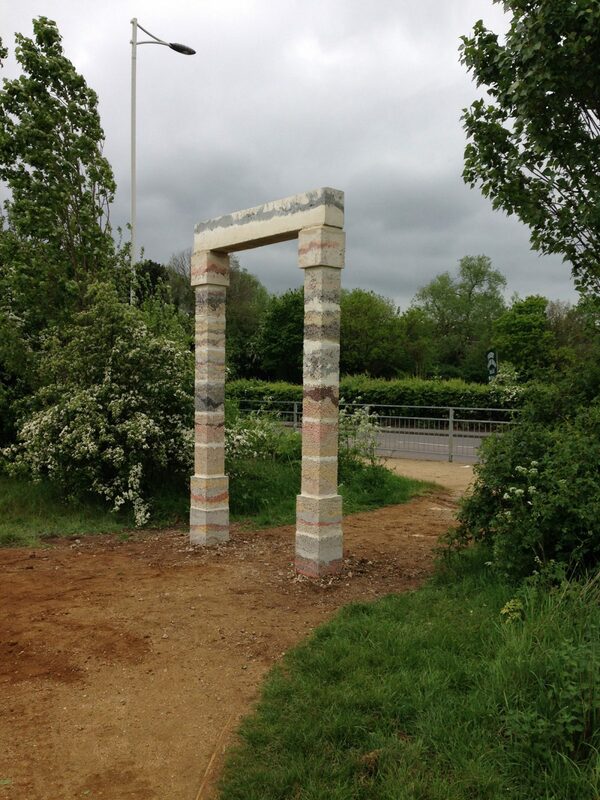 The Arch is an experiment in the process of casting multi-coloured concrete, and its form is a homage of sorts to Frederick Gibberd, architect of the heroic Fulwell Cross Library and Leisure Centre in nearby Barkingside. 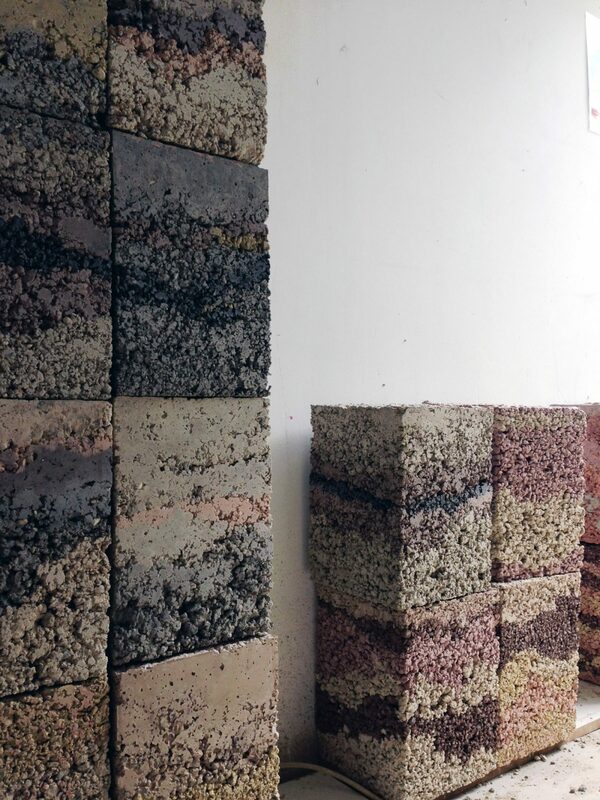 Using a range of dry mixes coloured with different powders, the arch’s block components were cast in layers with the coloration of each block determined instinctively during the casting process. 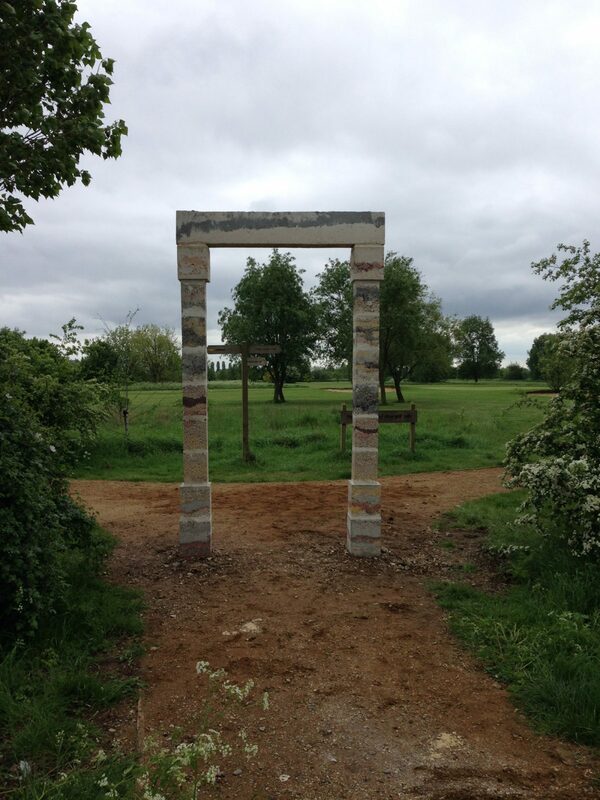 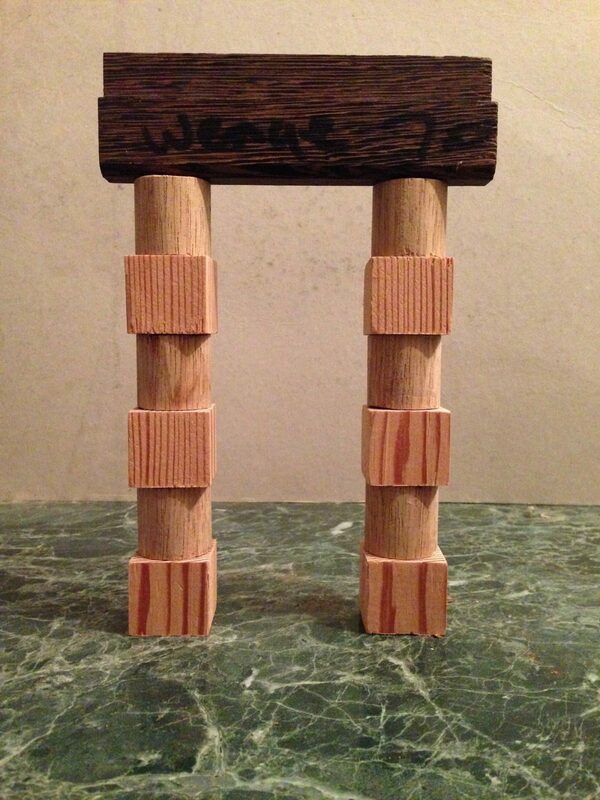 These blocks have a hollow core, enabling them to be easily installed by hand, allowing Assemble to build the arch on this awkward and sensitive site themselves.